Livvie Grace was born on February 16th, 2010. She was a healthy baby with little to no complications at birth. The first 15 months of her life were typical for her and for us as first time parents. Lots of love and attention. She was our first and an absolute joy. It did take her a little while to start walking on her own--she was 15 months old before that happened--but we always blamed the very “healthy” thighs she was sporting at the time. At or near that same time frame in May of 2011, I noticed that her eye drifted ever so slightly when I went to grab a picture of her. Honestly, I thought I was seeing things. It was so minuscule, I felt like it really might not be there at all. Within a couple of weeks of noticing this, Liv's babysitter also pointed out her concern with her eye and how it appeared "lazy" or not in proper alignment at times. We scheduled an appointment with our pediatrician who told us not to be concerned, as it was just Strabismus and she would grow out of it eventually. I felt strongly about the need for a second opinion because Ryan, Liv’s dad, suffers from vision loss and has yearly exams for having Coats Disease. Thirty days later we finally got in to see a pediatric ophthalmologist. We were in the office for about three hours when the doctor walked in holding the big plastic “eye” – my heart sunk. I knew this was big, I knew this wasn’t lazy eye, I knew the days ahead were going to be very difficult. She could not tell us for sure what was going on but she did tell us that Liv’s retina was detached and that “something,” and she wasn’t sure what it was, was blocking Liv’s vision. I was hearing for the first time that my daughter had no vision in that eye. I lost it. We were sent to Children’s Mercy the very next day. Ryan will forever remember taking the phone call in the MRI waiting room at Children's Mercy hospital after a very long day of doctors and tests and being told the results indicated it was a tumor. Then finally having Liv back in our arms and being met by a chaplain, we were devastated. Within a twenty four hour time frame everything we knew about our girl changed. Happy and healthy to fear, anxiety, worry, concern, and many tears. After a long discussion with the doctor we decided to take Liv to Philadelphia to be seen by the “world’s specialist” in Retinoblastoma in kids. We flew out the following weekend for our appointment on Monday June, 20th. We arrived early and I knew one thing going into the appointment. I knew that tumors were ranked on a lettering system, A-E. If it was an A it was the smallest in size and an E was the largest. They dilated all of our eyes that day, we all had an eye examination. It was late morning when they finally had us in the room waiting to be seen by Dr. Shields at the Wills Eye Institute. Liv was being restrained by the team of doctors that came in the room and they had forceps prying her eyelids open. Although completely necessary, this is something no child should have to endure and something no parent ever wants to see. As Dr. Shields looked in her right eye she shouted out the very words I had been dreading, “Group E, possible IAC, possible enucleation (removal of the eye)”. So on June 20th, 2011 it was confirmed and we were told that our daughter had Group E Retinoblastoma and she had a tumor in 60% of her eye. Retinoblastoma rarely spreads outside of the eyeball. However, it can happen and so our priorities were outlined by the doctor as: 1) We will save her life 2) We will save her eye 3) We will save her vision. We were advised and chose to do IAC or intra-arterial chemotherapy. This is a very specialized form of chemotherapy performed by a Neurosurgeon and her only alternative to enucleation. The procedure is performed under general anesthesia and full intubation. The Neurosurgeon would access her femoral artery and ever so carefully fish his way up to her eye and enter through the ophthalmic artery. Once he had access to the eye, the chemo medication would be made by the pharmacy on site and brought to him to administer. This was scheduled for the following Friday and would be the first of three treatments. One a month for three months. Friday finally came and the doctor was amazing. The procedure took nearly four hours and then Liv would need to lay flat for six hours wrapped tight like a burrito in what reminded me of a baby straight jacket. They called us very hour or so in the waiting room to tell us where they were in the procedure. It was good news. They were able to access her eye through the artery needed and insert the chemo medication directly to the tumor. This meant for Liv that her entire body would not have to endure the effects of systemic chemotherapy side effects. This was a huge victory in the midst of such a difficult time. We did everything we could to see the positive in the situation. We would stay the weekend in Philly and fly home on Monday to return in four weeks to see if the procedure was a success. It was a very long four weeks. Once back to Philadelphia, Dr. Shields would perform an exam under general anesthesia to see how the tumor reacted to the Intra Arterial Chemotherapy and would perform round two on Friday. The chemotherapy was successful! Tears, tears, happy tears. The one treatment alone had reduced the tumor to about 25% in size. Friday brought round two with the Neurosurgeon, more anesthesia, and a long day of waiting. He was again successful in accessing her eye and administering the chemotherapy medication. We stayed the weekend, went back home and were to be back again in four weeks. Four weeks later and again success! The doctor could not believe how well Liv’s tumor was responding to the treatment. Honestly, she felt like it was nothing short of a miracle. The procedure was so new, Liv is part of a study. If she had been diagnosed even 18-24 months earlier the only treatment would have been enucleation. So even Dr. Shields was impressed to see that after two treatments the tumor was nearly gone. Round three came and went on Friday with no complications and again we were headed home. We were back to Philadelphia four weeks later and the tumor was gone. The plan had worked. There were spot treatments of cryotherapy along the way to "freeze" away what are referred to as cancer seeds but by all standards and protocols Liv was a success story. At one of her follow up appointments just weeks later Dr. Shields had to treat 11 seeds, that was very stressful, but she was always successful in the procedure. We have progressed over the years from treatments every four weeks, to every six weeks, then eight weeks and so on to now - Liv is seen annually. Liv has been under general anesthesia 20+ times in her life. Our goal was always first and foremost to save her life, then save her eye, and finally save any vision possible. We succeeded in all but vision. 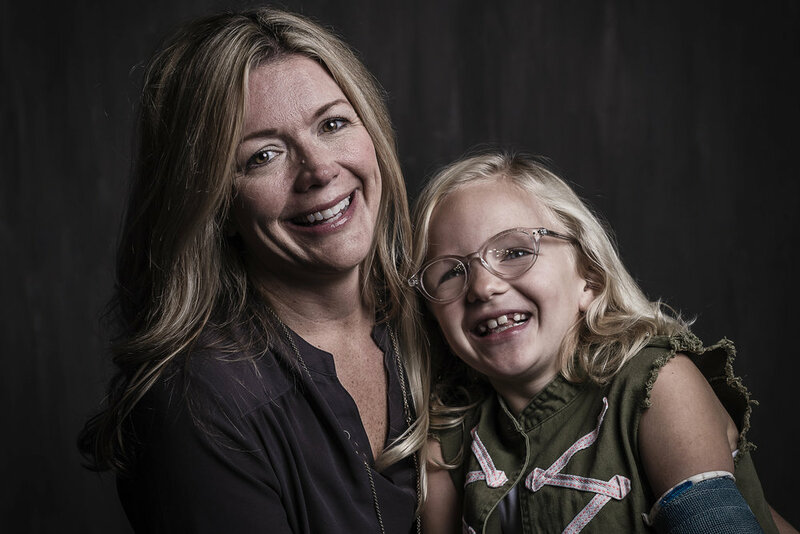 Her retina did reattach but the Intra Arterial Chemotherapy destroyed her macula. She may see some light peripherally but nothing more at this point in her right eye. Thankfully, she has great vision in her left eye. Dr. Shields always comments on Liv’s beautiful blonde curls and her striking blue eyes. Liv is now seven and in second grade and only knows vision in her left eye. You really wouldn’t know it if you saw her, most people have no idea. Later in life Liv may need to undergo a treatment to help with alignment of her right eye, but that isn’t a concern today and we will cross that bridge when we get there. Ryan and I both are more than grateful for the care Liv received at Wills eye institute. Without the fine men and women at there, I am sure Livvie Grace would have had a different result. We’re also thankful for the help we received from friends and family who eased the financial burden. Through fundraisers, generous donations, and the Ronald McDonald House, we felt some relief along the way. 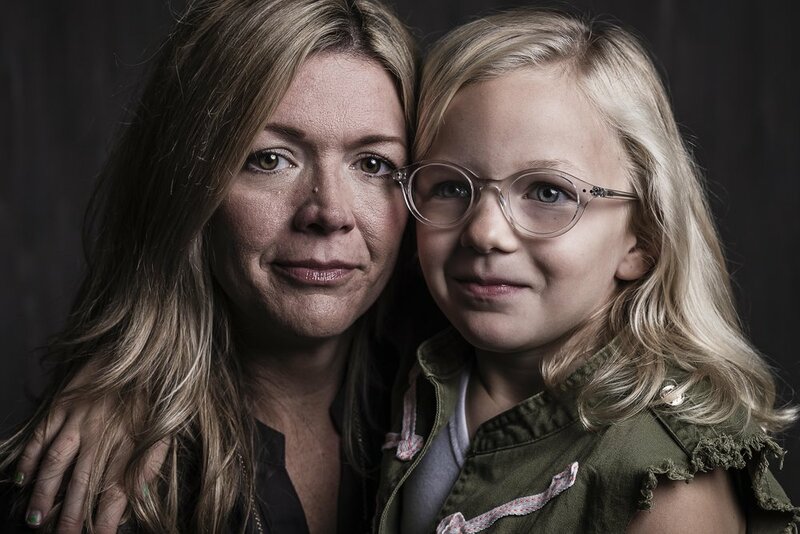 It is our hope that all parents can learn from Liv the importance of an eye exam at an early age. 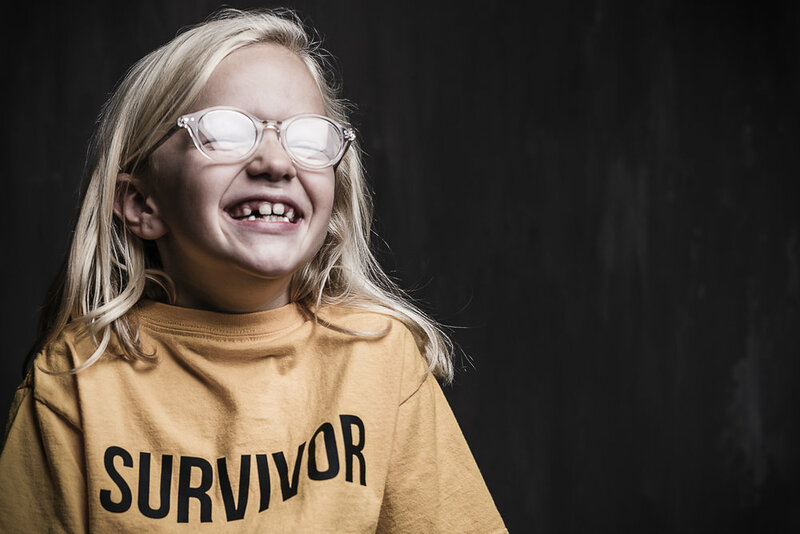 Liv’s tumor covered 60% of her eye when it was finally detected. If we had known at a younger age she may have been able to keep some of her lost vision. Please “Know the Glow” and have your babies checked for Red Eye Reflex as early as possible. You can see the glow in Liv's eye here when it's caught in the light. You can learn more about 'Know The Glow' here.